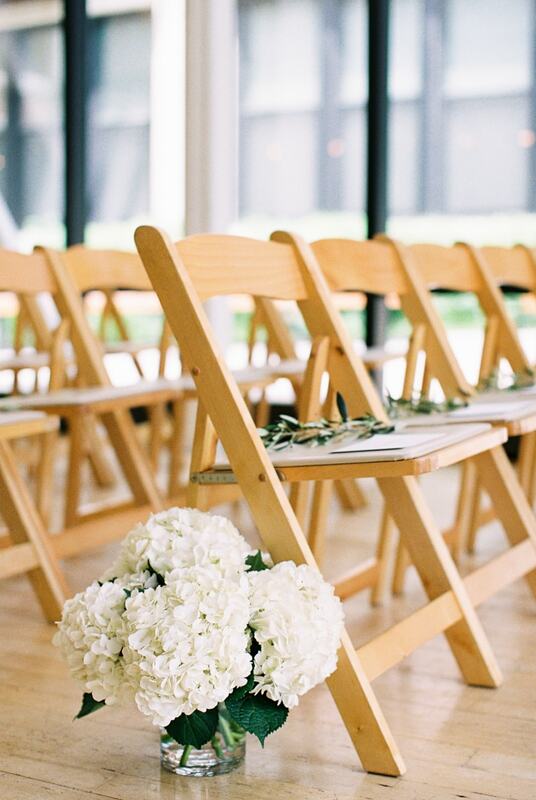 Greenhouse Loft Chicago Wedding. 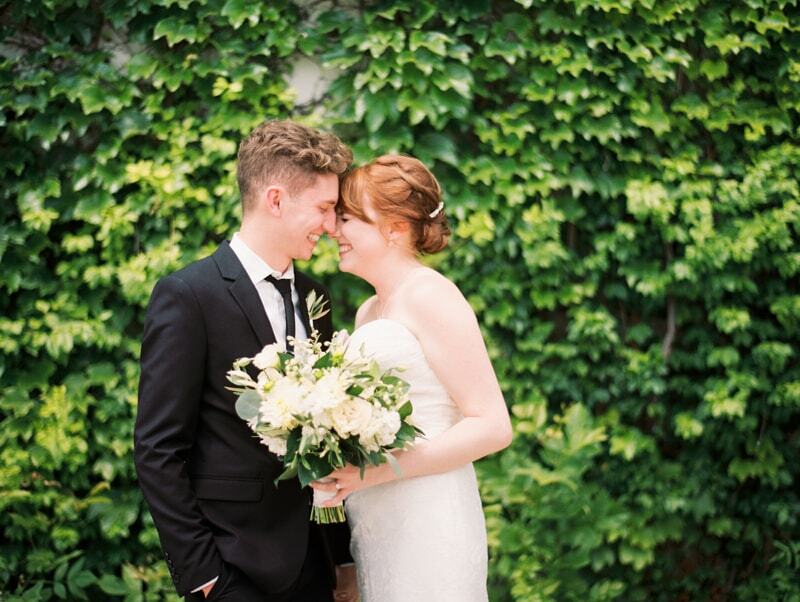 For modern couple, Amy and Stephen, it’s easy to see why they chose Greenhouse Loft in Chicago for their wedding day. Its simple, crisp and clean ambiance matched perfectly with their unique styles. 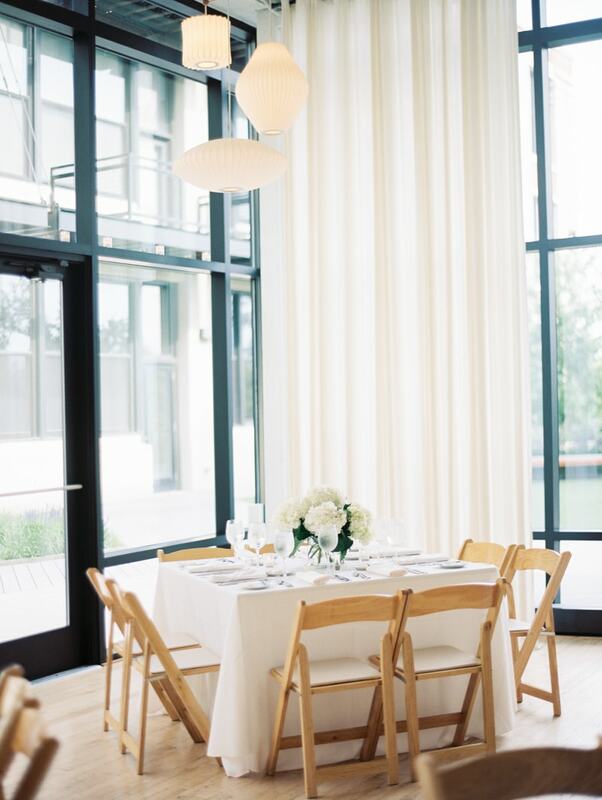 But don’t let the modern touches fool you - their event was as timeless and heartfelt as any wedding can be. The first order of the day was a first look moment between the bride and groom. 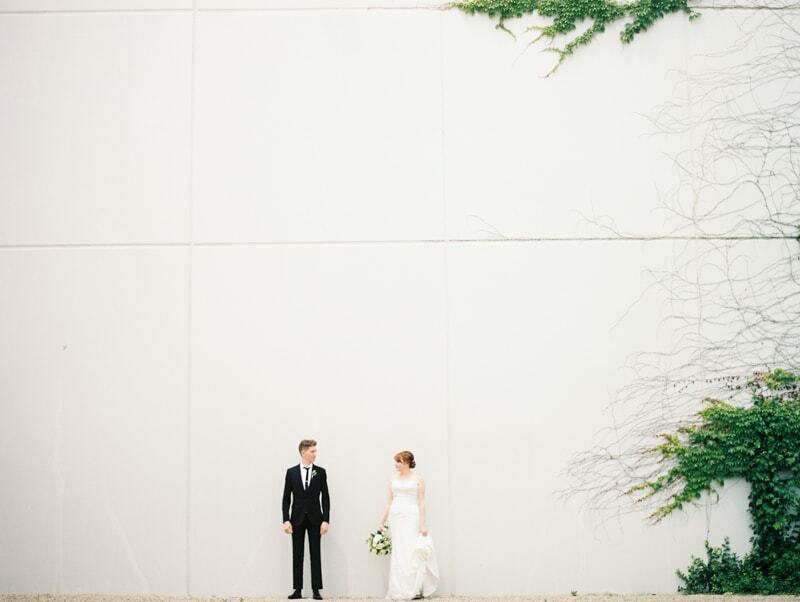 Standing in front of the ivy-covered wall, Stephen turned around to find his bride-to-be beaming in her wedding gown, to which he was overcome with emotion. 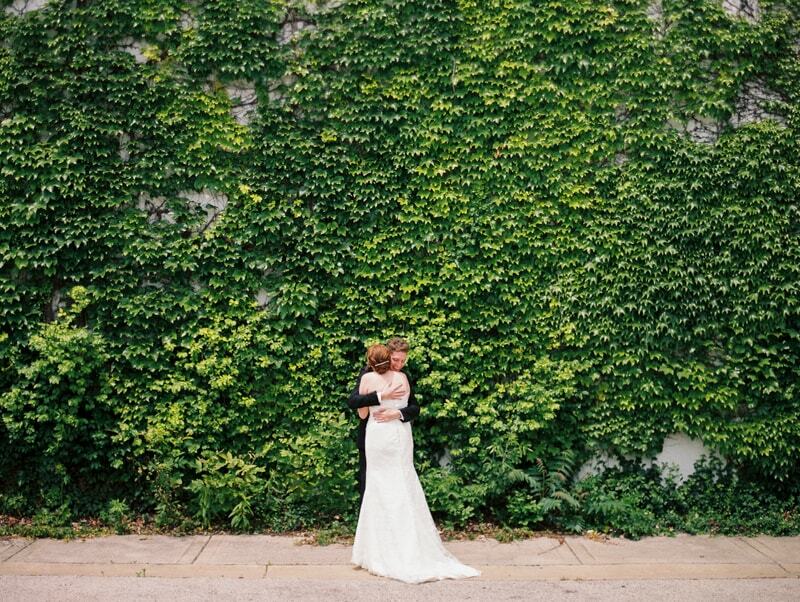 They hugged, embraced and shared a few tender moments before taking pre-ceremony photos. Amy looked radiant in her strapless lace gown and Stephen complemented her in a classic black tuxedo with straight black tie. 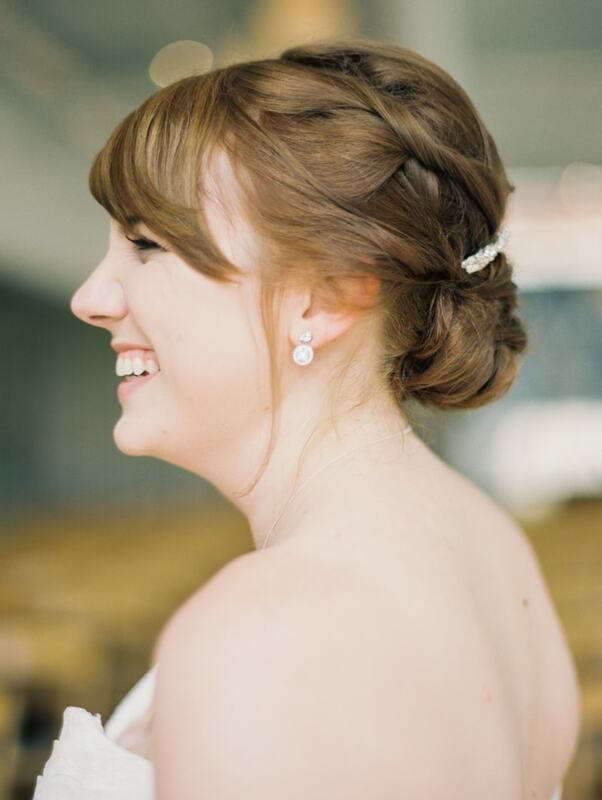 Amy’s accessories included circular stud earrings and a beaded hair clip for her intricate updo. Inside the whitewashed venue, Stephen spun his bride around and posed for more photos before it was time for the ceremony. 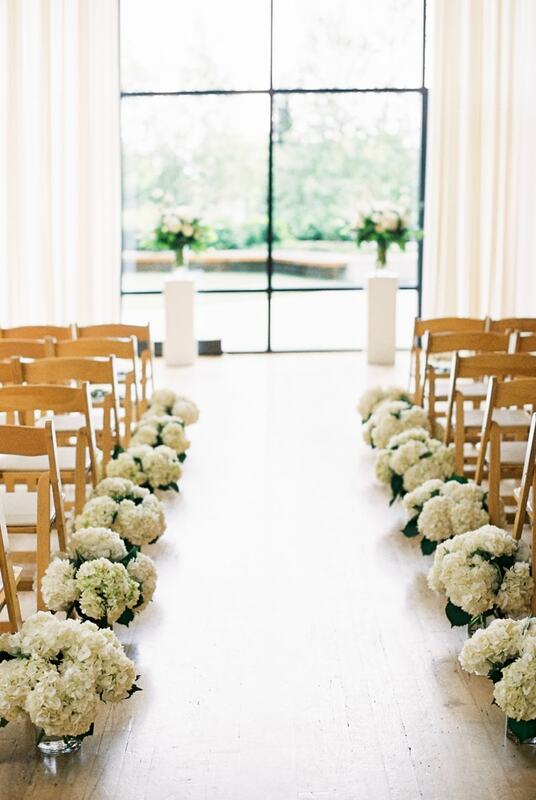 Guests were welcomed with an aisle bursting with white hydrangea that mirrored the décor at the of front of the room. 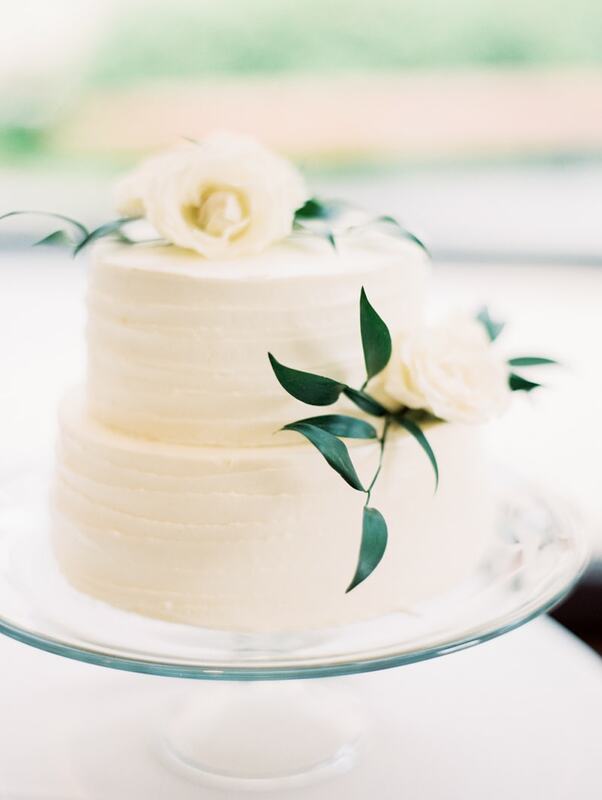 The invitation suite, and color palette for their big day, centered around sprigs of greenery and the crisp white foundation of their venue. 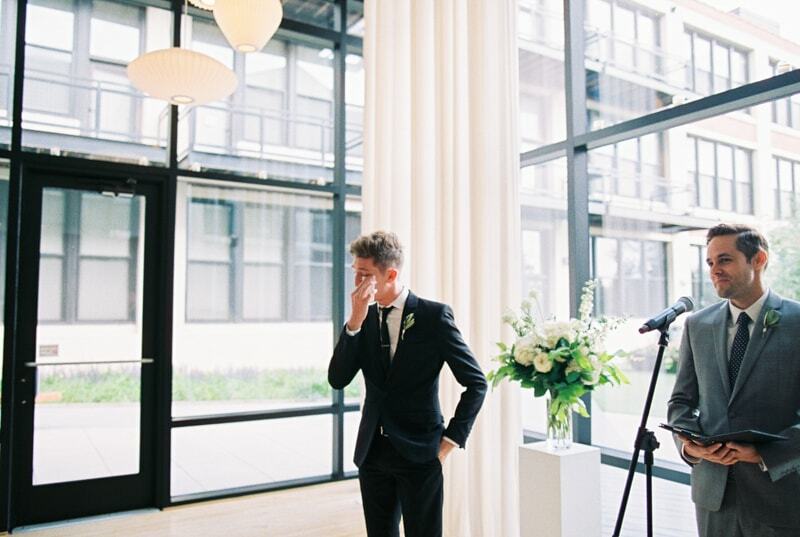 Stephen wiped his eyes when he found his spot at the head of the aisle and waited for his bride. 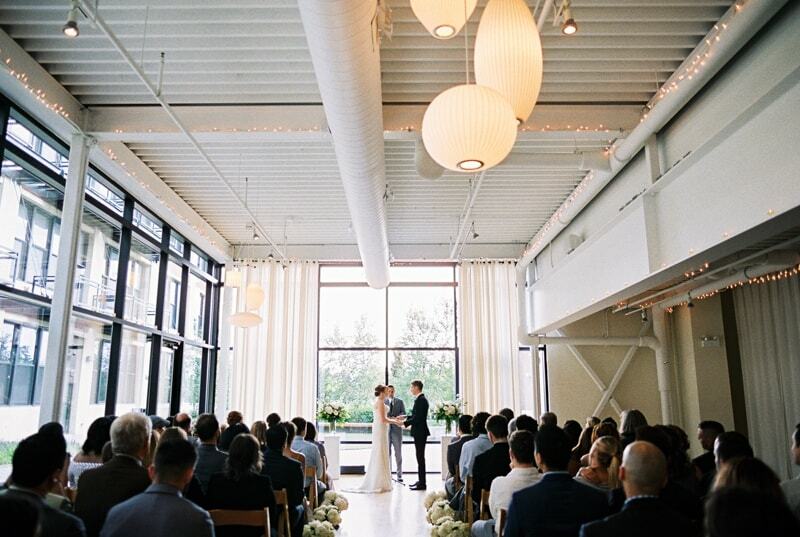 The bride and groom joined hands in front of the loft’s incredible windows and said “I do” before their dearest friends and family. 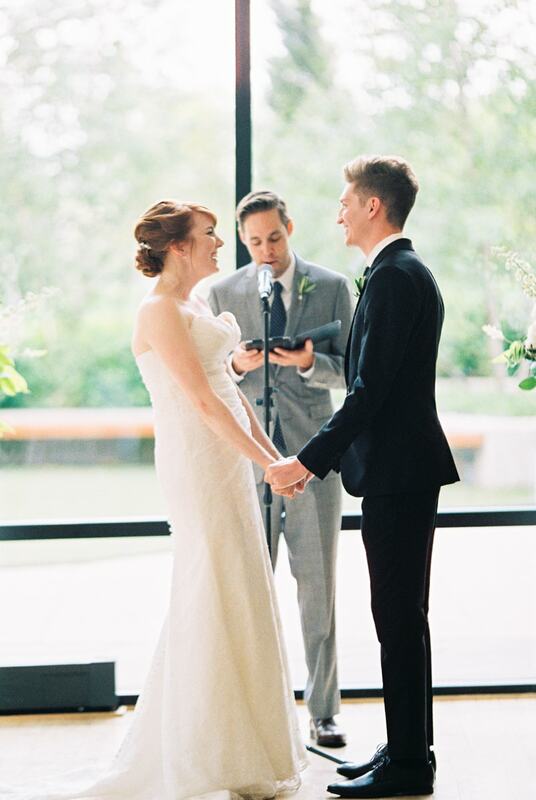 After the ceremony, Amy and Stephen enjoyed their reception in the same space, where guests celebrated as they shared their first dance as husband and wife. The Greenhouse Loft was a natural fit for Amy and Stephen. 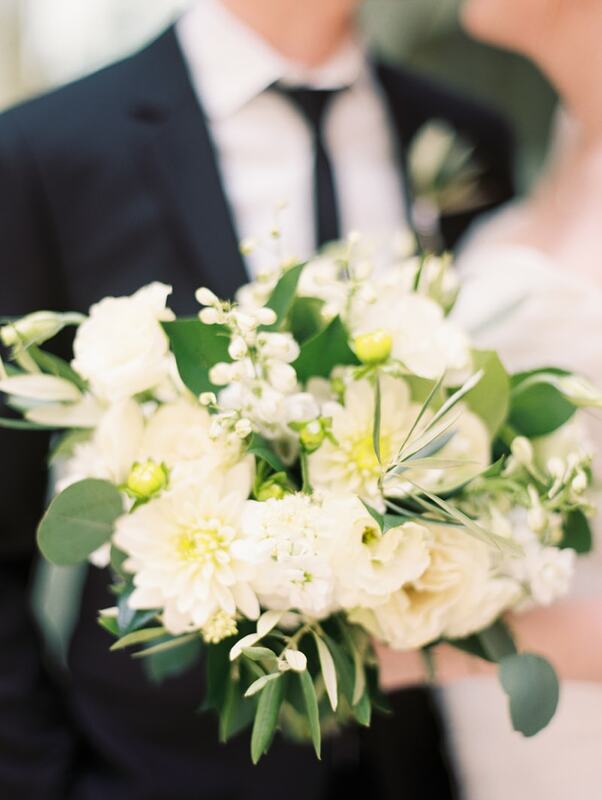 They were able to incorporate a chic, simple theme centered around greenery and a crisp white color palette, creating an ultra-chic day to remember in Chicago.